Wednesday: At a symposium held by Global Funding concerning sustainable financing and the challenges and opportunities this presented in regard to the Aids programme were raised, there was general agreement that at present inadequate funds are the main problem, as HIV funding is characterised by donor dependency and uncertainty, it was difficult to respond adequately to everyone’s needs. There is need for recipient countries to contribute more themselves and more sustainable health plans for the future. The same song as earlier conferences sang, learn to do more with less. A massive extra $13 billion is needed if the 2030 goals are to be reached. Major trials with an Aids vaccines will be undertaken shortly in South Africa following promising early results. Bill Gates was part of a special session which discussed accelerating the decline of the burden and incidence of HIV in Sub-Saharan Africa and offered his perspective on the HIV Treatment revolution and the need for creative new thinking in prevention. He warned that ‘the largest generation in history is entering an age when they are more at risk from HIV.’ The success of high uptake and self-reporting of oral prep by Afro-American males was reported. Elton John also made an appearance on Wednesday. He apparently reminded all that without inclusion and respect for human rights no amount of scientific progress can end Aids. Finally Zambia has adopted but not yet implemented under the 90-90-90 programme, Test and Treat regardless of CD4 level. Thursday: In the plenary session we heard of expanding access for all at risk and in need. Early ART for infants is very important. They can live a normal life if early suppression takes place. If tested forHIV the results are negative but if ARVs are stopped rebound can be fatal within 2-3 weeks. In another case, an HIV+ adult male with cancer was treated with a bone marrow transplant and cured of HIV. Research continues with early initiation and viral suppression along with bone marrow transplants. Prince Harry, Prince Seeiso of Lesotho and Elton John spent time talking with the youth. In the morning we also visited the Faith Area where the Presbyterian Church of Nigeria discussed how churches could be more welcoming to those triply stigmatised, namely women living with HIV and disability. The two main speakers had expectations from the church of compassion and care. They looked for accessibility to and within the building,signing and Braille services, help with officialdom, income generation, and more controversially condom phrophyllaxis to prevent conception, infection from STDs and HIV. On Thursday, the faith-based contingent all dressed in black in solidarity with the 1 in 3 women worldwide who face violence in their lives, in protest against all systems, cultures and societies that promote any form of violence, in mourning for all who are harmed or killed by sexual violence and to raise awareness and knowledge of SGBV, in the hope of the possibility of a different reality for all those affected. Friday: The plenary was addressed by Dr Dorothy Mbori from UNICEF Nigeria who again highlighted the failure to test babies early enough and the challenge presented by 15-19 year old adolescents; this cohort has the highest rate of infection at the moment. There was need for only one Health Record per person for life. VCT needed to be expanded to include everyone. Integrated Community based service programmes needed to be available at community-level. Churches ,too, should increase VCT services to all congregants, especially those getting married and those pregnant. Youth-friendly services should be more widely available. Testing within hospitals should be universal and every admission should be tested. Carlos Del Rio urged a fast-tracking of our response to AIDS in the next 5 years with adolescent-focused programmes, a scaling up of Prep, integrated care and improved viral- load testing. A holistic approach and the full funding of Global Funds were both vital to meet these needs. The closing session contained the Rapporteurs Report which included the Global Village followed by closing remarks various dignitaries. The South African Minister of Health rightly warned against complacency and others protested that criminalisation of key populations will not end Aids. Silence leads to death. We looked ahead to AIDS 2018 in Amsterdam. 15800 people participated. I was able to meet with some key members of the health professions from Zambia, from the Ministry of Health, CHAZ and other Zambian-based NGOs. We all felt that Zambia’s voice was not being adequately heard and we should all work together to improve this. 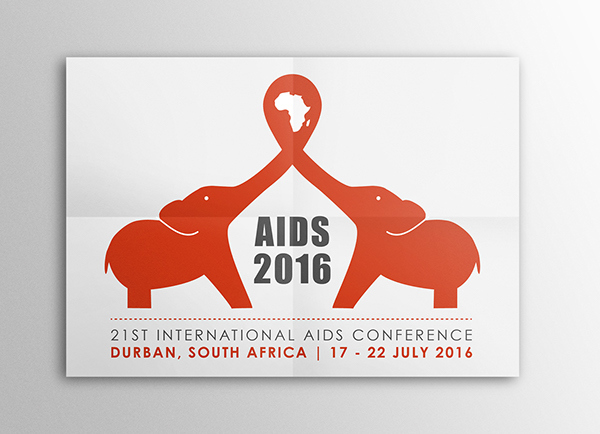 The governance of the International Aids Society is a concern as it is not as inclusive or diverse as it should be. Two examples; there are only 5 women out of 30 members on the Governing Council and all of Africa is represented by 4 middle-aged male doctors.